The company's strategically planned and technologically connected locations, experienced staff, innovative practices and commitment to stakeholders enables it to handle business of any size and scale across the country, with quality service at competitive prices. Navjyoti continuously innovates to create value and provide simplified solutions in its area of expertise. Navjyoti's biggest recognition is that its customers and partners rate it amongst the best in the industry. Vision: To serve the agri value chain in a sustainable, efficient and differentiated manner. Operates in more than 300 locations and handles over 7 million metric tonnes. WDRA (Warehousing Development and Regulatory Authority) and FSSAI (Food Safety and Standards Authority of India) accredited storage locations. Company owned, state of the art, large-scale scientific storage facilities and Agri Logistics Parks. Equipped and enabled with advanced infrastructure and technologies. LN Bangur Group is one of India's leading diversified business conglomerates. The Group was founded by Mr. Ramcoowar and Mr. Mugneeram Bangur in 1918. For 70 years, it has consistently ranked amongst the top 5 business houses in India. The Group's expertise spread across Textile, Tea, Corporate Farming, Agriculture Supply Chain Management Solutions, Financial Services, Energy Exchange & Renewable Energy, Health and Wellness and e-commerce. LN Bangur Group believes in exploring businesses of the future, that are aligned with its anchoring beliefs, mission, vision and values. Group Vision: To be a globally respected business group working towards providing sustainable living solutions. Group Mission: Constantly strive to operate businesses that are globally competitive and sustainable thereby enhancing the lives of the communities we work with. Mother Earth: We consider mother earth as our preferred stakeholder. From our choice of business to the way we conduct them, we shall do everything possible to care for her. Challenge conventional thinking and foster innovative solutions: We shall encourage all our associates to utilize our resources innovatively so as to provide superior solutions for the benefit of all. Value human life and dignity: We shall show compassion and care towards our colleagues, clients, vendors and other associates we work towards a better tomorrow. Fairness in dealing: We believe that sustained success can be achieved by building win - win partnerships. We shall forge the same and be transparent and honest in our dealings with all our stakeholders. Ethics are non-negotiable. Ashok is a Science graduate from DAVV, Indore and also an MBA in Marketing. He has more than 17 years of work experience in Inspection & Testing of various agriculture commodities, Collateral Management, Warehousing, Rake loading/Uploading Operations, Port Operations. He has served in various leadership positions in companies like, Dr. Amin Controllers, Geochem Laboratories and Star Agri warehousing & Collateral Management Ltd.
Srikrishna has over 33 years of experience in corporate finance, budgeting, commercial contracts, statutory compliances, capital markets, procurement & logistics, plantation activities, liaison with government agencies, besides 5 years in the banking sector. He has overseen many financial projects during his stint as Chief Financial Officer at The Sirpur Paper Mills Ltd. He has been on several committees of Chamber of Commerce & Industry bodies and is actively engaged with various government and local bodies on related matters. He has closely worked on several projects with various government agencies for promoting plantations on wastelands, augmenting supplies of pulp wood for the industry and in protecting farmers' interests by improving crop yields and fetching remunerative prices. 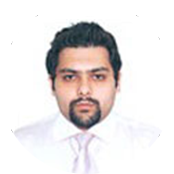 He is a member of the Institute of Cost Accountants of India (ICAI) and holds degree of ACMA and CAIIB (I). Vivek has over 19 years of experience of which for almost 13 years he has been an entrepreneur engaged in agricultural and industrial commodity trading in international and national markets. He has worked at several positions across organisations in India and abroad. 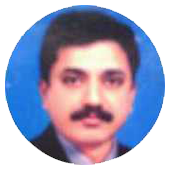 He has experience in real estate development, essential commodity supply and in financial services. Vivek has experiences in strategic planning, supply chain, marketing and business development, customer relationship management, financial and commercial responsibilities, information technology and risk management. 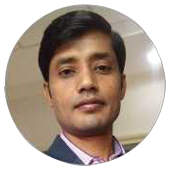 At Navjyoti, he has closely worked with all departments and spent time across most points of presence for the Company. Vivek oversees Strategy & Procurement and is responsible for innovation across the Company. He is a MBA from the University of Wales, UK. Harendrasinh has over 22 years of experience in the field of global commercial laboratory management and global QC/QA operation, including advanced product & process validation, new method development & validation, qualifying proficiency & round robin test, Inter laboratory comparison, GLP, cGMPS, Lean Six Sigma and has successfully delivered System & Operation like -ISO 9000, ISO 22000, ISO17025 GLP. He is regularly invited to speak in related events and congregations organized various chamber of commerce trade association including the likes of CII. 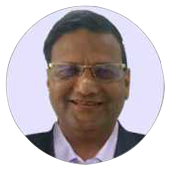 He has experience has worked on many IGNOU projects. 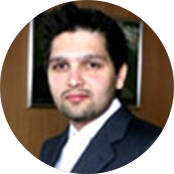 He is a MSc Microbiology a post graduate diploma holder in Business Management awarded by Gujarat University. He is also Green Belt in Six Sigma degree awarded by IIPM. 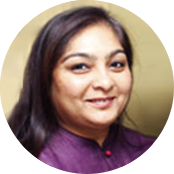 Sheetal is a post graduate in Commerce and Business Administration and currently leads SOUL Beauty and Wellness in Hyderabad. SOUL operates in the luxury Spa & Saloon segment and has health centers across the city. Using her entrepreneurial capabilities and natural flair, Sheetal spearheads Navjyoti and is also a Director at Samay Books Ltd., Swadeshi Commercial Co. Ltd., Apurva Export Pvt Ltd., the Marwar Textile Agency Pvt Ltd. In addition, she is also the Managing Committee Member of Mugneeram Ramcoowar Bangur Charitable & Religious Co. In the past, she headed the procurement division and served as a Director at Andhra Pradesh Paper Mills Ltd. from 2002 to 2011. Sheetal has been a President, Board Member and an active participant at the Young Entrepreneurs Organization, Hyderabad Chapter. Shreeyash completed his graduation from the University of Cardiff (UK) with a specialisation in finance and his post-graduation in Engineering Business Management from the Warwick Manufacturing Group (University of Warwick, UK). He has worked with PriceWaterhouseCoopers (PWC) in their Global Risk Management Services Division and with E&Y in the Risk and Business Solutions Division. He has served as a Director at The Andhra Pradesh Paper Mills Ltd. and also headed the Company's Marketing Division. Shreeyash played a vital role in divesting the company to International Paper, USA in 2012. Currently, as a Director at the LN Bangur Group of Companies, he uses his entrepreneurial abilities to oversee the Groups' Agriculture Supply Chain, Renewable Energy, Tea, Textile, Corporate Farming, NBFC and Investment businesses. Yogesh completed his Post Graduation in Programme & Project Management from the Warwick Manufacturing Group and a Bachelors with specialisation in Finance from the University of Warwick (UK). In the last eight years he has been handling Maharaja Shree Umaid Mills, the Groups' textile business. He is also a Director in the other venture across the Group. He possesses an innate ability for identifying investment prospects and out of the box thinking. 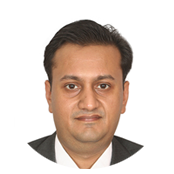 At the Group level, he is a core member for leading change management, corporate strategy formulation & implementation. Known for his project management, team building capabilities and his ability handle timelines, Yogesh led a successful and timely implementation of SAP at the Groups' textile business. Under his leadership, the company has seen two major expansions.